Gotcha. Thank you very much! Ok. I paid my membership in late Jan-Feb. It was like 3 weeks before the frag swap. Hey Salthead!! welcome to the forums and to INDMAS. The PAR meter and all club rentals are benefits of becoming a contributing member. You can sign up in the INDMAS store which i posted down below for you. There are rules and requirements to rent them and you will find those in the Club Rental forum once you are approved for membership and the account is upgraded. There are lots of other benefits to becoming a paid member as well...including door prizes at the monthly meetings, being able to rent the items in the club rental section, and gaining access to the buy/sell livestock and drygood forums as well. Hello. New to this forum. I am trying to post in the rental section, however there isn’t a button available for me to do so. Is there a page that will tell me all the requirements needed to post there? Just trying to rent the par meter. Thanks for any help. The beginning of a pair of Interruptus Angels! Looks like he’s on a plug. Just pull it out scrape it off. Scalpel, bone cutters , butter knife even could work. EVERYONE Please Remember to Mark "Going" or "Interested" on the CMAS Frag Swap Facebook Event Page. It will help us get a good idea of how many people we should expect to come to the Frag Swap so we can plan accordingly. Also, Please "Share" the Event on Your Facebook Page or any Reefing Facebook Groups that you are in as it will Help Get the Word Out about this Awesome Frag Swap. Lastly, Please "Invite" any Reefing Friends that you have on Facebook. https://www.facebook.com/events/386089218620509/?active_tab=discussion Click on the Facebook Link Above for More Info. EVERYONE Please Remember to Mark "Going" or "Interested" on the Starved Rock Saltwater Expo & Frag Swap Facebook Event Page. It will help us get a good idea of how many people we should expect to come to the Frag Swap so we can plan accordingly. Also, Please "Share" the Event on Your Facebook Page or any Reefing Facebook Groups that you are in as it will Help Get the Word Out about this Awesome Frag Swap. 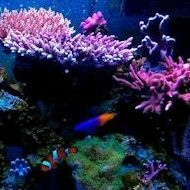 Lastly, Please "Invite" any Reefing Friends that you have on Facebook. https://www.facebook.com/events/2154901331449387/?active_tab=discussion Click on the Facebook Link Above for More Info. So I’m fairly confident this guy is a vermetid snail...should I leave it alone or take it out? If I take it out what is the best method? Thanks for your help!! I believe this was covered in one of the monthly meetings last summer. @plantguy would be a good one to talk to about this. I had read somewhere that they believe it is exposure to high intensity of blue light. Not sure how or why it may cause them to bounce. I will see if I can locate the article. not selling. just thought i would share. now if i can get the others to do it. i think i will call it Barney bounce shroom. I came home and checked out the tank and saw my chalice (at least I think that’s what it is) with brown stuff coming out of the individual mouths. Reading online I’m guessing it’s dropping a deuce? Let me know what you think! Thanks. I don’t think they are gorilla nips as they came off a Viet Nam rock plus they don’t look like my current nips. the first pic kinda look like blueberry pie zoas.